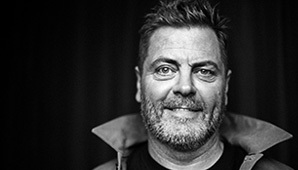 Award-winning US actor, writer and comedian Nick Offerman returns to New Zealand for the first time since 2016, with his brand-new live show, ALL RISE. Offerman will make just two appearances in New Zealand at Auckland’s Town Hall on Saturday, June 22 and at the Isaac Theatre Royal in Christchurch on Tuesday, June 25. Tickets for both shows go on sale at 2pm on Thursday, February 7. The Live Nation pre-sale begins at midday on Monday, February 4. For complete tour and ticketing details, visit: livenation.co.nz. While having earned massive recognition for his work on-screen, Offerman also thrives on stage in front of a live audience. His solo show Full Bush was critically acclaimed when he brought it to Australia three years ago.